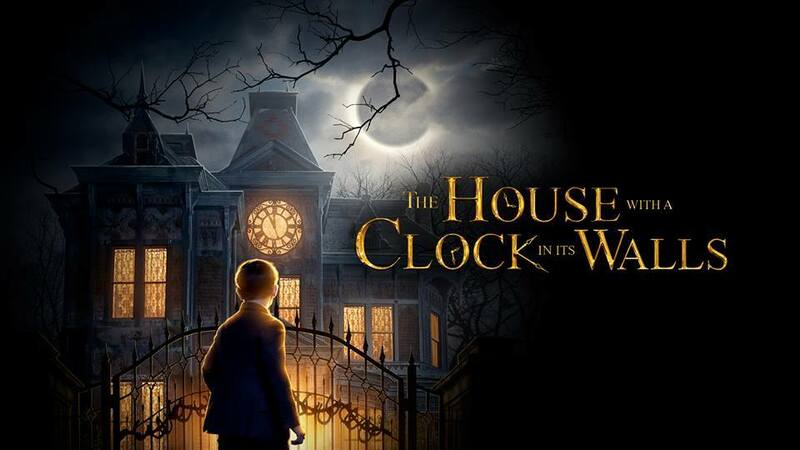 The House With A Clock In Its Walls (Movie) Review: An uneven family film – AiPT! Is The House With a Clock in Its Walls the next big family film? Is this the next big family magic film? Will you and your family burst into applause when the credits roll? Well…. let me start out by saying that I really like films like this. I just think they can be really fun. But to be perfectly honest, I would never have even gone to see this if Cate Blanchett wasn’t playing one of the lead characters. And now having seen it, I feel kind of conflicted about it. This film takes two steps forward, then takes a step back. It’s strong in a couple select areas, but really needs some more substance in other areas, hence me calling it uneven. Is there enough enjoyable content to make this worth the price of admission? The biggest positive, without question, is a couple cast members and the performances they give. Like I said before, I mainly went for Cate Blanchett, one of my absolute favorites. I was reminded why she is one of the best while watching this film, she does a great job portraying her witchy character and does it with a fun sweet charm. Then we have Jack Black playing another lead role, as Louis’s uncle who takes him in after his parents pass away. I have mixed feelings about Jack Black. I think he can do good work and has proven that in past projects (Jumanji most recently.) But then sometimes he just phones it in and unfortunately that’s what he does here. To be fair though, I guess it’s not completely his fault since he wasn’t given stellar material to work with. Unfortunately, a lot of the humor-which is Black’s strong suit-is comprised of cheap childish gags that just aren’t funny. There is one gag in particular that happens like 3 or 4 four times, never works, and after a while it get old. Even though I didn’t care for Black here, I did enjoy the child actor playing Louis (Owen Vaccaro) as he was very good in his role and shows potential. I mentioned that part of the reason Jack Black was so lackluster here was the material. The writing is overall devoid of any kind of wit or originality. The only times I enjoyed the writing was when Blanchett’s character was talking to Louis or the exchanges of name calling between Blanchett and Black, other than that, it was largely dull. And speaking of dull, the villains seemed very lacking in depth. They just kinda pop up at the very end, which makes the finale feel very hollow. I don’t recommend this to go see in the theater, possibly a home rental or maybe if you’re bored and want to stream something, but to be honest Blanchett and Vaccaro’s characters were the only aspects of the film I really enjoyed. Without them, this would’ve been a complete waste of time. This isn’t a film that will age very well, because there’s nothing all that worthy of remembering. (Also, just a little warning in case you do choose to see this film: if your children are frightened easily, just beware that this film contains some occasional imagery, one scene in particular, that’s more intense than usual for this genre.) But honestly, there are far more entertaining choices than this lackluster family film about magic. The House with a Clock in its Walls is one of the lesser choices in this genre. Dull writing, a few generic performances, and a hollow finale are all to blame.